Today, the Tampa Bay Buccaneers entered today’s game 4-5 and found an impressive way to reach .500 on the season by improving their record to 5-5 in a 19-17 win over the mighty Chiefs. The Bucs offense played extremely well and especially on third downs, as they converted 68.8 percent of them. Also, the Bucs’ offense in general produced 27 first downs and for a total of 442 yards in a little over 35 minutes. Now, the first player who definitely caught my eye is one of the next superstars in the league in Jamies Winston. Despite losing a fumble, the Florida State alum completed 24 passes and threw 331 yards with one touchdown towards his stats. Also, Winston’s streak of at least one touchdown a game between college and the NFL is still alive. Next, Chris Conte﻿ had one of the biggest and game changing plays of the game where he picked off Alex Smith in the end zone. After that interception, the Bucs drove down the remaining length of the field and scored their only touchdown by throwing a short yardage pass to Alan Cross right outside the end zone for his first career touchdown in the NFL. In addition to the Buccaneers scoring, Roberto Aguayo kicked to perfection today by tallying 13 points for his team. He converted his only extra point attempt and also made four out of four field goal attempts. The rookie has found his groove and improved his season kicking total to 13 made field goals out of 18 attempts. He entered today with the lowest kicking percentage among all kickers on a roster. Finally, the receivers were perfect by reeling in a total of 24 passes and Mike Evans led the group with six catches for 105 yards. The group stepped up with some big catches that led to this offensive showing life and honestly, can Russell Shepard get an extension from the Buccaneers and recognition from the NFL? 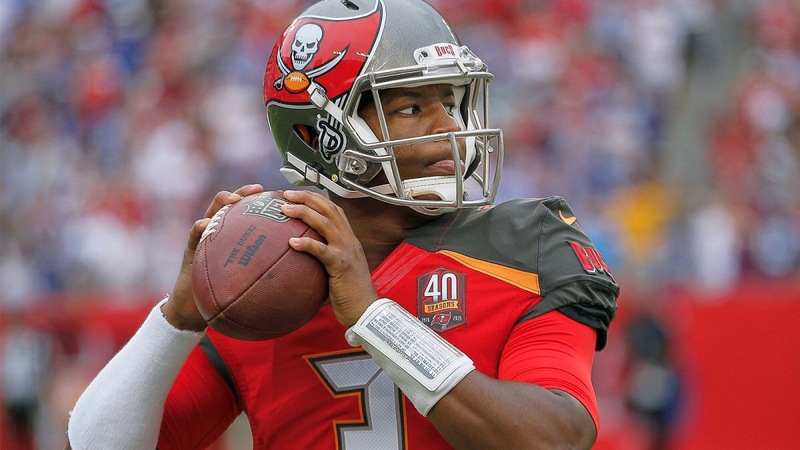 Note: the Buccaneers have a tough task next week at home against the Seattle Seahawks.